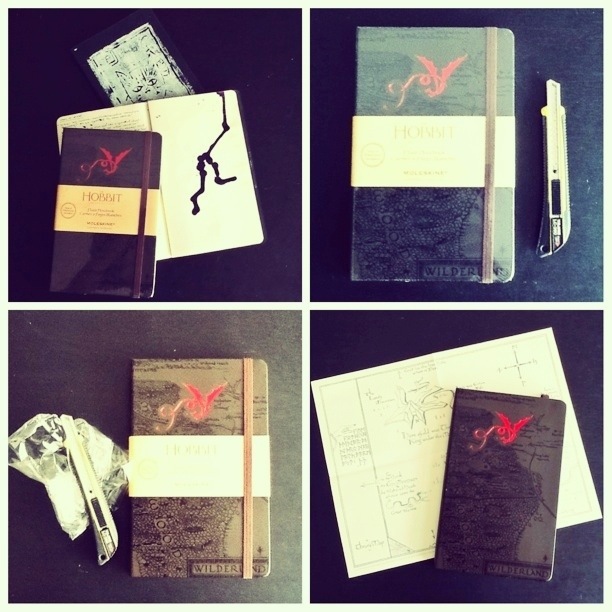 Late last year, Moleskine came out with a limited edition notebook for The Hobbit. I had to have it, of course, so I asked my sister (who lives in the States) to get it for me. She was scheduled to visit Manila in February, so I had to wait a bit before I could get it. Of course The Hobbit notebook was released here in Manila in December… I could have gotten another one, but NO!, I wanted to wait. My sister came as scheduled and I finally had my precioussssss. 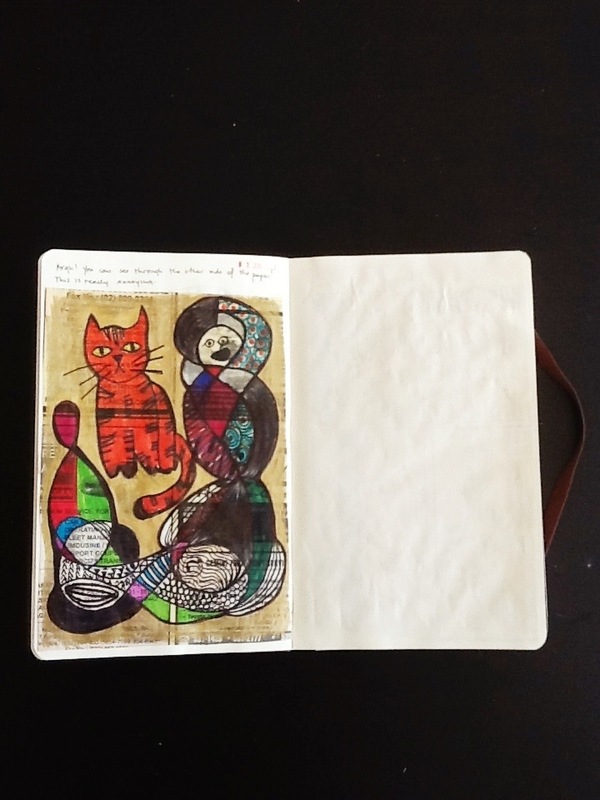 Unfortunately, I was still halfway through my other Moleskine journal so I couldn’t open it yet. You see, I was in the process of kicking my journal hoarding addiction. I had a penchant for buying one, opening it, only using a page or two, then when I see another one, I’d buy it, open, draw a bit, and then I’d see another cute one and the cycle would go on and on. At one time I had about 10 notebooks that were divested of their plastic covers, but were mainly left unused. It was quite confusing after a while because I would jump from one to the other. There was no continuity in my thoughts or my illustrations. So about two years ago, I had to promise myself to just stick to one. I had to put the other journals to good use, though, so I used them for my lesson plans and for work. I also started writing and drawing once a day. … But the paper is THIN! Thin!!! I did not expect that. I wrote on one page and the ink seeped through to the other side! ARGH. What a let down. 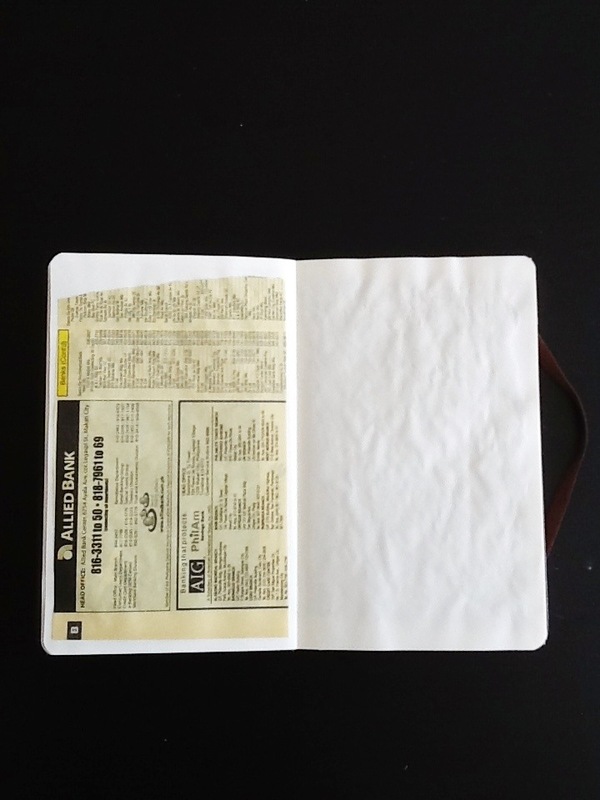 I still have to use it, though, so I found a creative solution to my problem: I cut up some pages from an old phonebook and stuck them on alternate pages. I’ll end up wrecking this notebook because it’s going to get really fat, but, hey!, it’s better than seeing your handwriting or drawing from the other side of the page. Annoying. 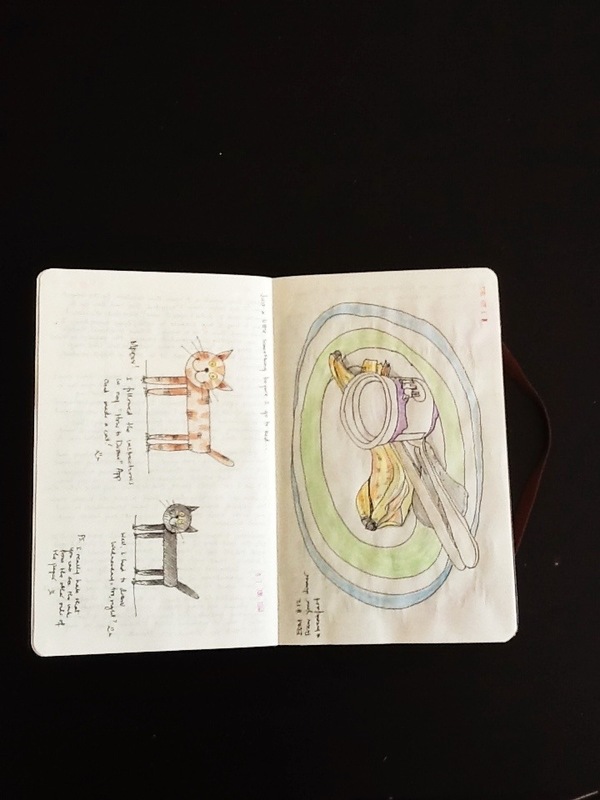 I’m still extremely disappointed, though, Moleskine. Extremely disappointed. I think maybe it is the “note taking” one and not the “sketch” one. I almost bought a blank note one and the person at the counter asked me if I wanted that or if I wanted the sketch book. I guess the sketch book pages are a little more sturdy. I don’t know if they have different kinds in this Hobbit style though.